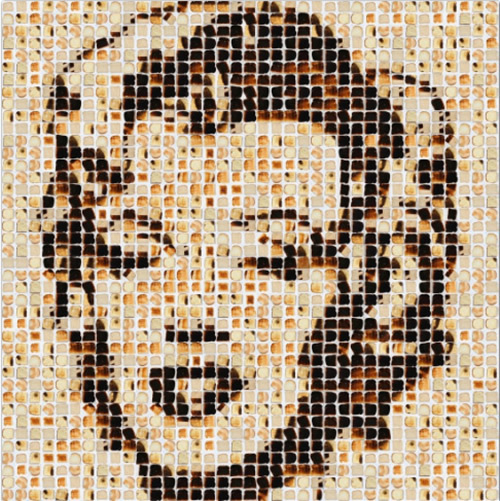 New York artist Henry Hargreaves makes portraits of modern icons using dozens of pieces of toast. 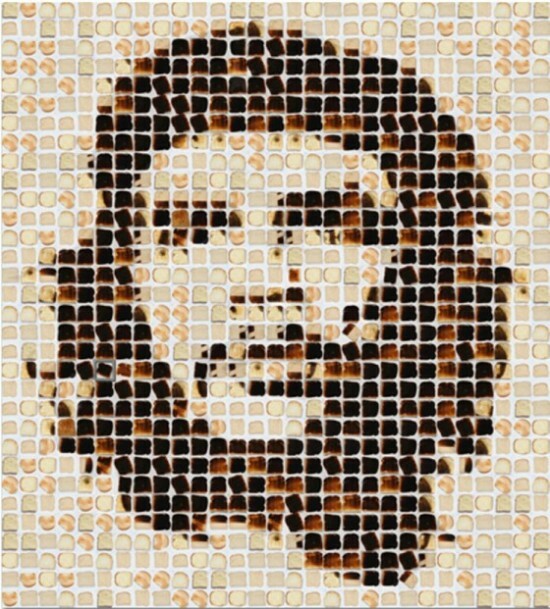 You have to admit, burnt toast never looked this good. 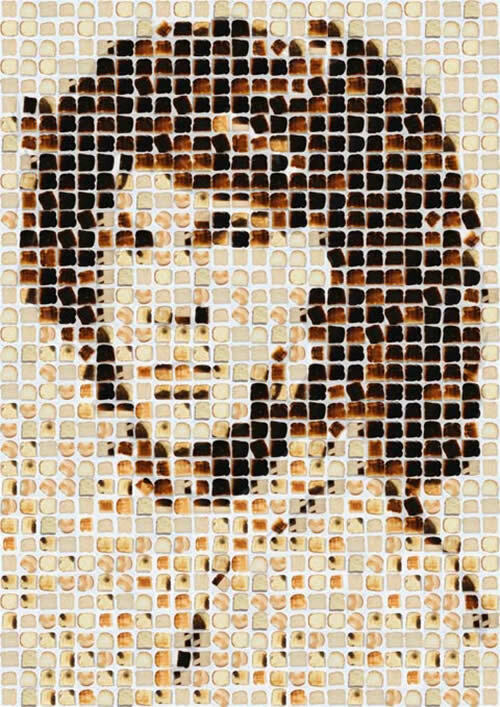 With his series of toast portraits entitled “Toasted”, Henry Hargreaves joins the ranks of established artists who chose toast as their art medium, the likes of Maurice “Toastman” Bennett, Laura Hadlandor Adam Sheldon. 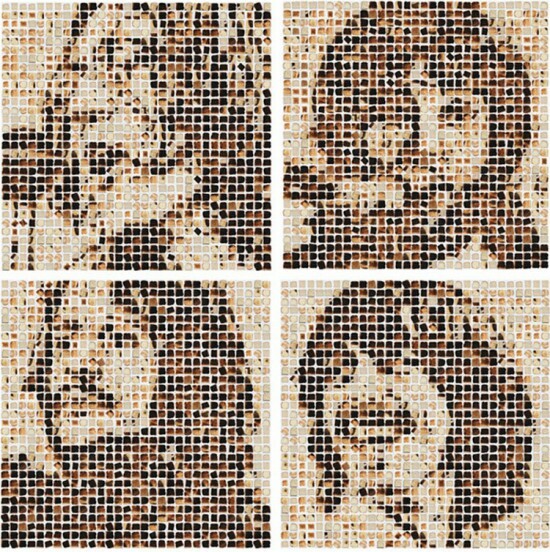 Using dozens of pieces of toast, some barely toasted, other burned to a crisp, Hargreaves managed to create a series of mosaic portraits that includes The Beatles, Che Guevarra, Jim Morrison and Marylin Monroe. I gotta say they all look good good enough to eat.